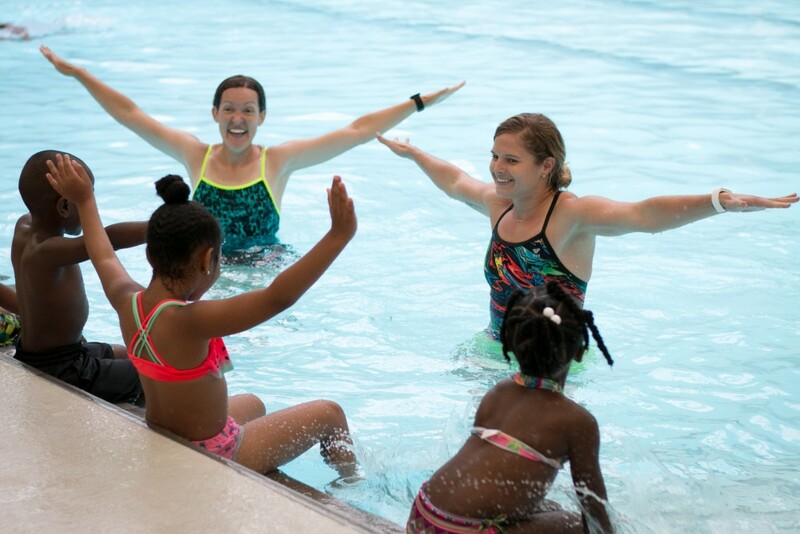 About 150 children, parents, teachers and local officials celebrated the success of the four-week Swim to the Top swimming program at a showcase event Thursday, June 29 at the Benjamin Barnes Branch YMCA. 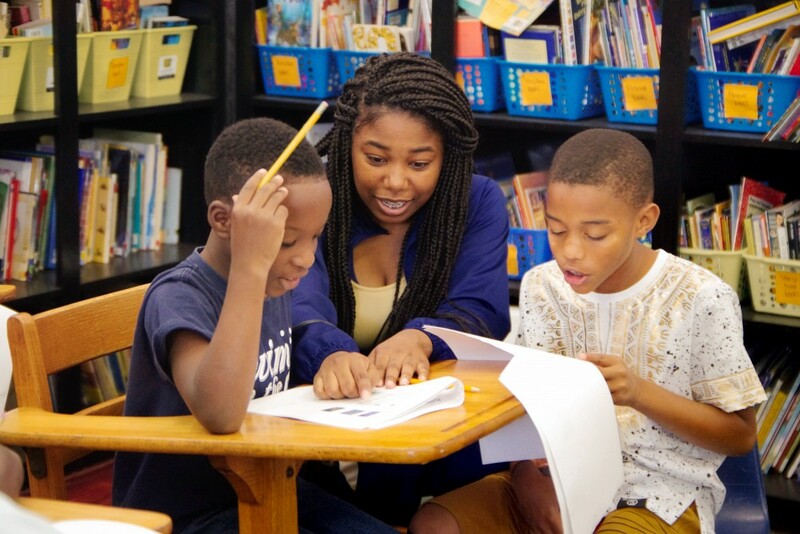 The program is led by Dr. Holly Morgan, Community Education director of the Center for Community-Based Partnerships (CCBP), an initiative of the Division of Community Affairs. Greeted by white and blue balloons symbolizing the sea and beach, these summer campers ages 4-14 were recognized for their achievements. Attendees enjoyed a meal, sponsored by Chick-fil-a Northport, of bread, fried chicken, fruit, rolls and a home-made cake emblazoned with the program’s sea-turtle logo. In its fourth year, Swim to the Top is a swim training and survival program designed to save lives of at-risk children and youth. According to the Centers for Disease Control and Prevention, there were more than 3,500 drownings annually from 2005 to 2014. About one in five were children aged 14 and younger. 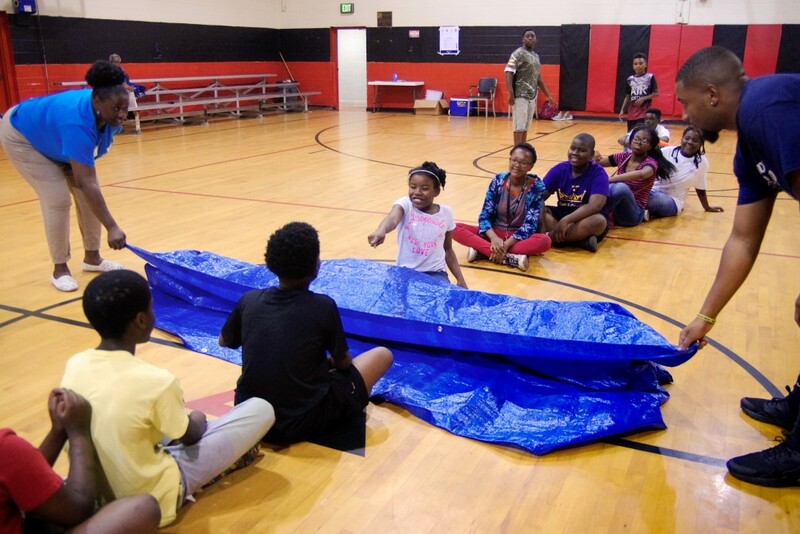 This year, Swim to the Top program was a collaborative effort among Center for Community Based Partnerships (CCBP), Benjamin Barnes Branch of the YMCA, Tuscaloosa Park and Recreation Authority (PARA) and UA’s department of kinesiology. The swim-safety program received prominent local television coverage during this year’s sessions, as well as a follow-up interview of its leaders by Fox 6 News after a near drowning over the pre-July 4th weekend in Blount County. 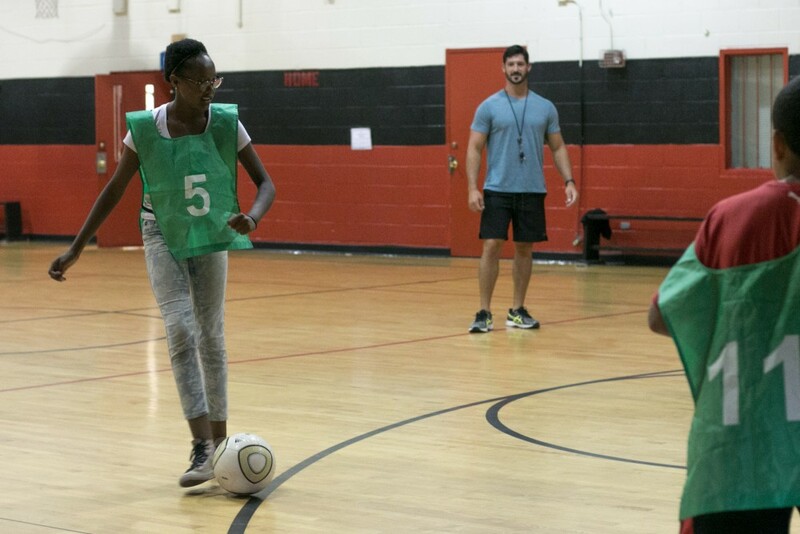 Fortunately, the child survived, but the incident served to emphasize the importance of partnerships like that of the University and Barnes YMCA. 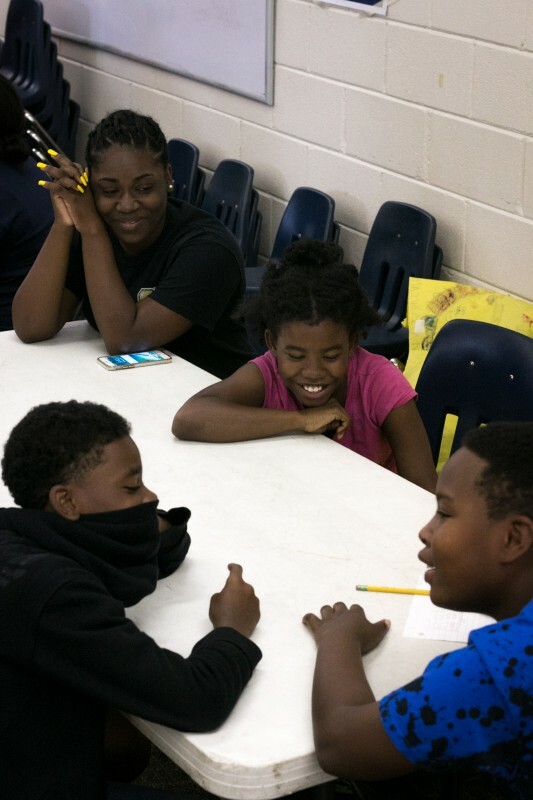 In addition to swimming lessons, participants were taught leadership development, nutrition education, fitness training and academic enrichment. 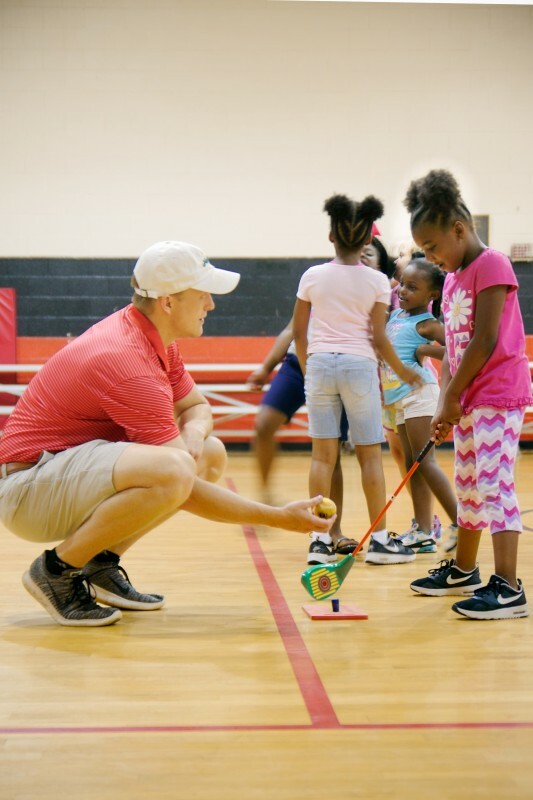 And each Thursday, they took golf lessons with the assistance of members from Tuscaloosa’s First Tee nonprofit. Lessons in putting, chipping, pitching and full swings were taught in the gymnasium using modified clubs and tennis balls in lieu of golf balls. On Thursday June 15, students conducted a special science experiment called the egg-drop challenge. Children were challenged to find effective ways to wrap eggs to help them survive an approximately 8-foot drop. The teacher then dropped the eggs to test their ideas. The aim of the experiment was to give the students some basic cognitions of physical rules such as gravity and packaging. At the final showcase, Benjamin Barnes YMCA Youth Programs Director Laura Payton gave the welcome and thanked parents for their trust in allowing their children to participate. Tuscaloosa County PARA Program Supervisor Mark Harrison pointed out that the program not only provides life-saving skills but also leadership that will be useful to the youngsters when they occupy responsible positions as adults. He said the PARA junior lifeguard program always welcomes advanced swimmers. “We’ve got the position for you,” he said. UA kinesiology professor Dr. Matthew Curtner-Smith noted another important aspect of the program: Research shows that more physically active children perform higher academically and their psychological satisfaction is higher than inactive children. He also urged the parents to keep their children active after the program, both in swimming and other sports. Dr. Morgan thanked all the people in the room for helping to build the “community” that makes who everyone is. “We appreciate and are honored that we have gotten the chance to make memories with you this summer,” she said. She also announced that the program was granted six scholarships from the Tuscaloosa’s First Tee worth $2,500 each in First Tee instruction. The first scholarship was issued to Swim to the Top participant Blake Easterwood, who also gave the invocation before dinner. During dinner, attendees enjoyed a special step show presentation led by Swim to the Top physical fitness instructor Bernel Jones and members of Omega Psi Phi. After the dinner, UA swim leader Jenni Jensen and fitness leader Colin Pennington, Tuscaloosa County Schools enrichment leaders Mishon Flanigan and Julia Sanders gave short talks on behalf of the instructors and teachers. They reviewed the lessons learned, recognized students’ achievements and thanked supporters. “On the first day they screamed and ran away from the water, and today we are able to see them floating by themselves, swimming with noodles on their own, no need to hold onto anybody, jumping in off the side,” Jensen proudly listed the skills her students had gained. “There is a complete 180 change, and it wouldn’t have happened without this program,” she said. Lazhaiva Lyles, 9, said she had joined the program every year and will come back next year. “I’ve learned how to dive in a pool, how to float on my back and front,” she said. “It’s fun!” Her friends gathered around her and cheered when she was talking.